Solution: To create brand awareness, I created a PR campaign to develop relationships with local media at an unexpected time. 4th of July. 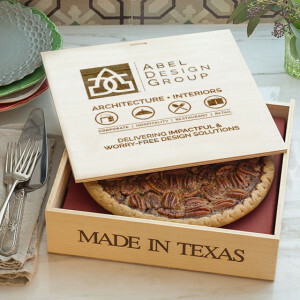 A very well known and well packaged pecan pie, coupled with a handwritten note from one of our principals or from me went to local PR content. Results: Through this “ice breaker,” we were able to create relationships with the Houston Chronicle, Great Day Houston and other media channels. We were subsequently able to secure a spot on Great Day Houston. In addition, we have started to use the pies as tokens of appreciation for our clients and have even created our own branded box.